This Janus-faced spiral galaxy is fittingly known as the Black Eye galaxy (M64). The dark "bruising" is caused a high density of dust that absorbs visible light and may indeed be from a cosmic tussle. Additional clues come from the surprising observation that the outer arms of the galaxy rotate in the opposite direction from the inner arms. The complex motions are thought to be the result of a collision of two galaxies perhaps a billion years ago. 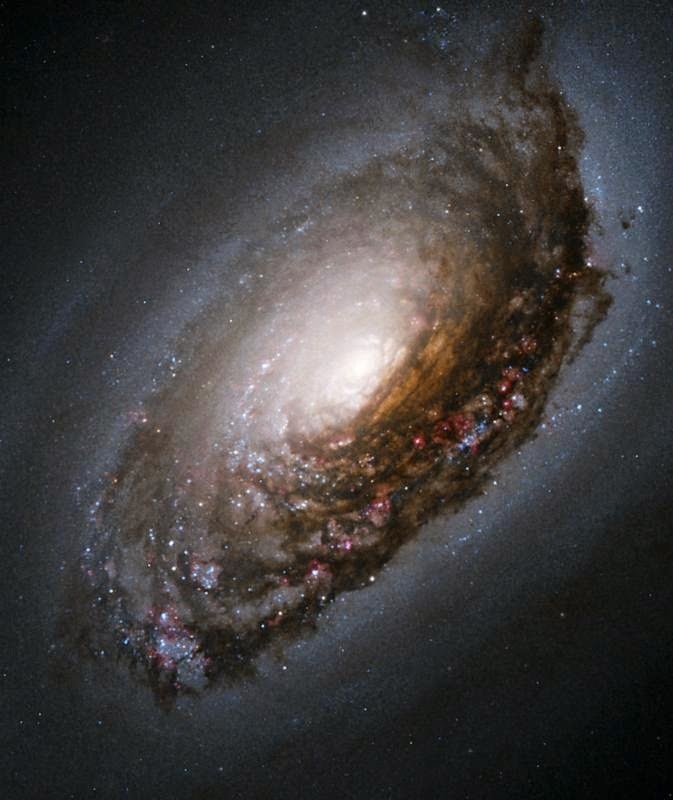 Hubble has been instrumental in revealing the complexity of galaxy mergers across the universe, a process that is key to galaxy growth and evolution. This image is one of the best views we have of the dusty whirlpool of material that feeds supermassive black holes in the centers of galaxies. 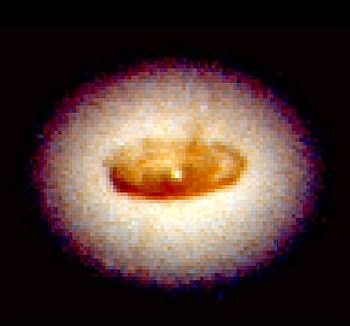 The spiral "accretion disk" shown here is 800 light years across and the black hole itself is hidden away in the dusty maelstrom core. The entire disk lies in the center of galaxy NGC 4261 in the constellation Virgo. The physics of the plasma around black holes is still poorly understood and high-resolution images like this can help shed light on the extreme dynamics that can light up galaxies and power relativistic jets of plasma that extend hundreds of thousands of light years away from the black hole. The New Horizons mission is currently approaching Pluto and just released the first color image of Pluto and its moon Charon from a mere 71 million miles away. 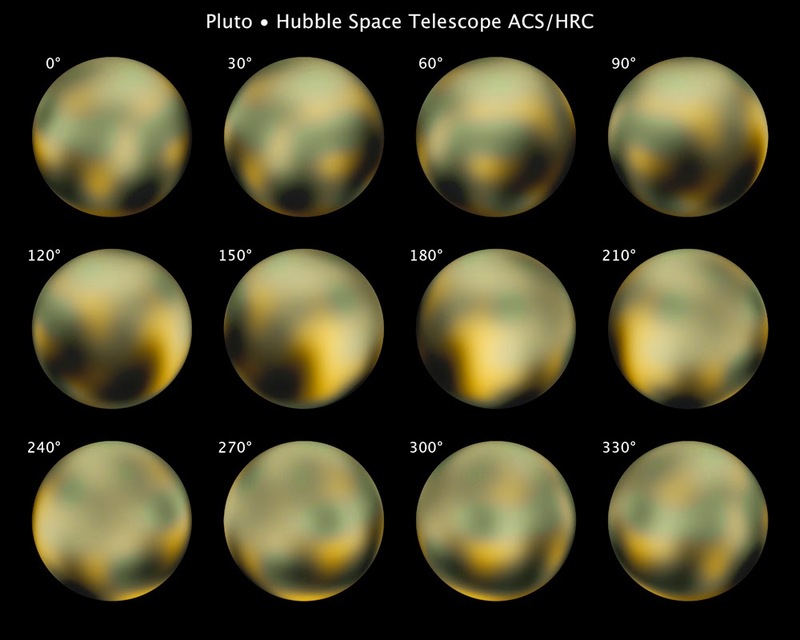 But long before New Horizons, Hubble created this series of images detailing the rotating surface of Pluto, taken from 2002 to 2003. At the time these were the most detailed images of the surface structure of Pluto, hinting at large-scale features that may be craters or mountains. That Hubble could image these features at all is remarkable, akin to resolving the features on a soccer ball from 40 miles away. On July 14th, New Horizons will fly within 6,200 miles of Pluto and send back much higher-resolution surface maps of this mysterious dwarf planet. No list of Hubble images would seem complete without this iconic image of deep space, known as the Hubble Deep Field. The story I was told in my undergraduate astronomy courses was that astronomers wanted to point Hubble in the darkest part of the night sky to see what they could find. In December 1995, Hubble stared for ten days at an "empty" region of space just above the Big Dipper constellation. The area of the sky was no bigger than a tennis ball viewed from a hundred meters away, which meant that there were only a couple foreground stars from our own galaxy in view. 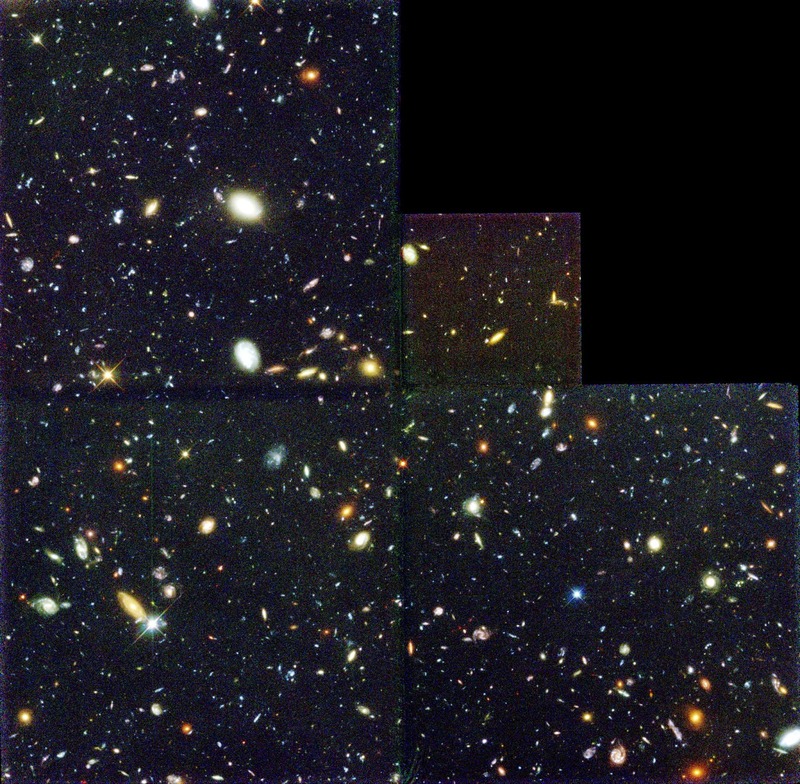 Every other point of light in the Hubble Deep Field image is a galaxy, each with billions of stars of their own. This image, and the subsequent deep field images over the years, highlights the vastness and diversity of space like no other photograph. NASA and ESA have just announced the image that marks the 25th anniversary, which they describe as a "glittering tapestry of young stars flaring to life". 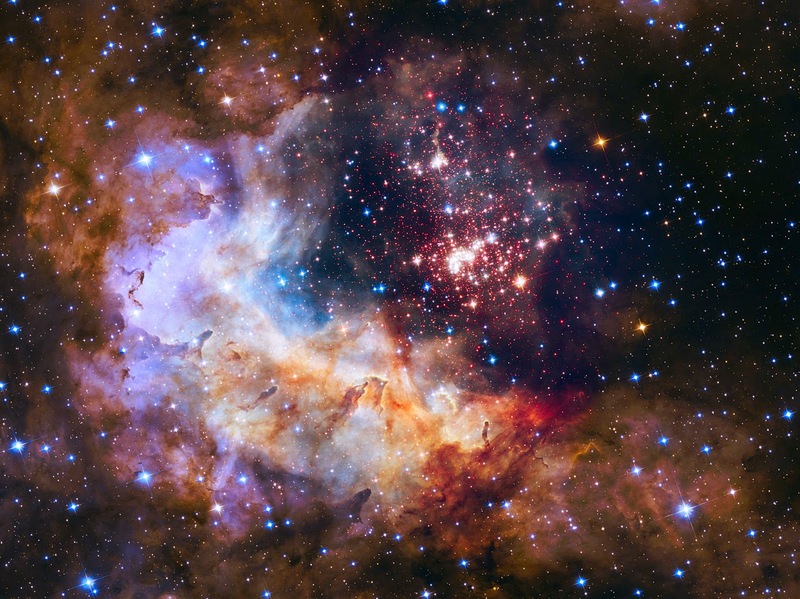 This image shows the Westerlund 2 star cluster, 20,000 light years away in the Carina constellation. 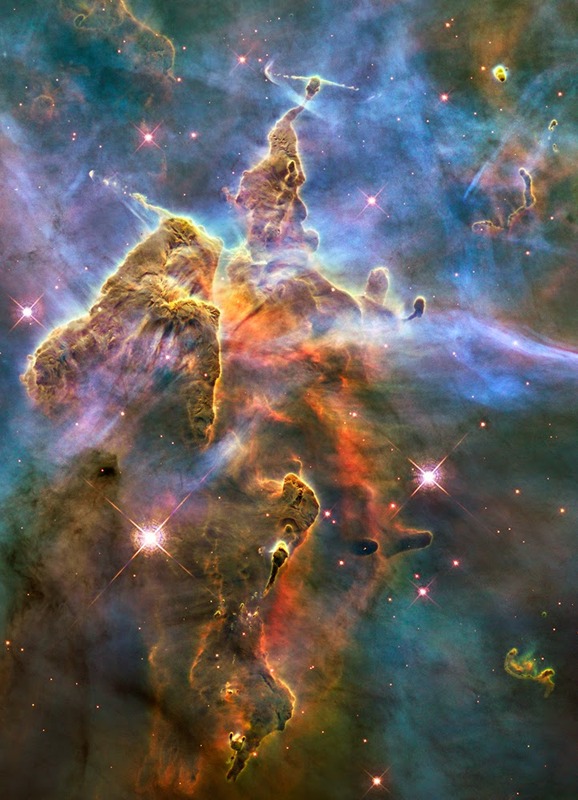 Similar to the Mystic Mountain image that marked the 20th anniversary, this image highlights every stage of the young star life cycle in one view. The tight cluster of red stars in the center of the image are a group of young stars only about two million years old. The pressure from the intense starlight and stellar winds is blowing away the surrounding gas and dust, revealing dense columns that form the breeding ground for new stars. In the background, a variety of older blue and orange stars are also visible.